Mass is a term used to describe the main eucharistic liturgical service in many forms of Western Christianity. 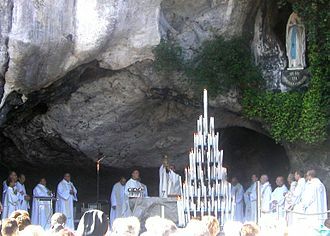 The term Mass is commonly used in the Catholic Church and Anglican churches, as well as some Lutheran churches, Methodist, Western Rite Orthodox and Old Catholic churches. The English noun mass is derived from Middle Latin missa. 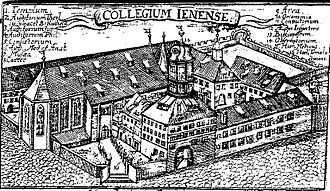 The Latin word was adopted in Old English as mæsse (via a Vulgar Latin form *messa), and was sometimes glossed as sendnes (i.e. 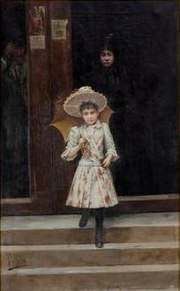 "a sending, dismission"). The Latin term missa itself was in use by the 6th century. It is most likely derived from the concluding formula Ite, missa est ("Go; the dismissal is made"); missa here is a Late Latin substantive corresponding to classical missio. "Mass" is one of many terms used to describe the Eucharist in the Anglican tradition. 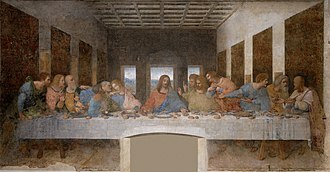 More frequently, the term used is either "Holy Communion", "Holy Eucharist", or the "Lord's Supper". Occasionally the term used in Eastern churches, the "Divine Liturgy", is also used. 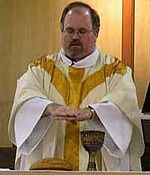 In the English-speaking Anglican world, the term used often identifies the Eucharistic theology of the person using it. 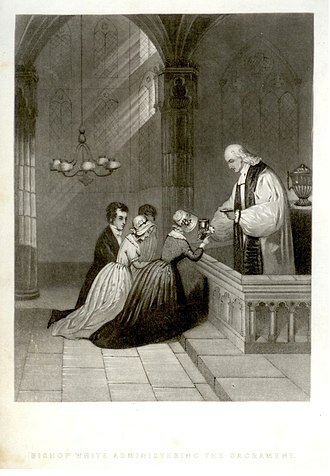 "Mass" is frequently used by Anglo-Catholics. ^ Bosworth-Toller, s.v. "sendness" (citing Wright, Vocabularies vol. 2, 1873), "mæsse" (citing Ælfric of Eynsham). Christian views on alcohol are varied. They held that both the Bible and Christian tradition taught that alcohol is a gift from God that makes life more joyous, many Protestant churches, particularly Methodists and Evangelical groups, advocated abstentionism and were early leaders in the temperance movement of the 19th and 20th centuries. Alcoholic beverages appear in the Bible, both in usage and in poetic expression, the Bible is ambivalent toward alcohol, considering it both a blessing from God that brings merriment and a potential danger that can be unwisely and sinfully abused. Christian views on alcohol come from what the Bible says about it, along with Jewish, the commonness and centrality of wine in daily life in biblical times is apparent from its many positive and negative metaphorical uses throughout the Bible. Positively, for example, wine is used as a symbol of abundance, wine is personified as a mocker and beer a brawler, and drinking a cup of strong wine to the dregs and getting drunk are sometimes presented as a symbol of Gods judgment and wrath. The Bible speaks of wine in terms as a bringer and concomitant of joy, particularly in the context of nourishment. 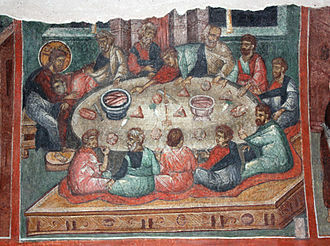 Wine was commonly drunk at meals, and the Old Testament prescribed it for use in sacrificial rituals, the Gospel of John recorded the first miracle of Jesus, making copious amounts of wine at the wedding feast at Cana. Alcohol was used for purposes in biblical times, and it appears in that context in several passages—as an oral anesthetic, a topical cleanser and soother. Kings and priests in the Old Testament were forbidden to partake of wine at various times, John the Baptist was a Nazarite from birth. Nazarite vows excluded not only wine, but vinegar, grapes, (Jesus evidently did not take such a vow during the three years of ministry depicted in the gospels, but in fact was even accused by the Pharisees of eating and drinking with sinners. St. Paul further instructs Christians regarding their duty toward immature Christians, even today, priests may not bless the congregation after having even a single glass of wine. Virtually all Christian traditions hold that the Bible condemns ordinary drunkenness in many passages, must have been not uncommon in the olden times, for it is mentioned either metaphorically or literally more than seventy times in the Bible. Additionally, the consequences of the drunkenness of Noah and Lot were intended to serve as examples of the dangers, St. Paul chides the Corinthians for becoming drunk on wine served at their attempted celebrations of the Eucharist. Trade with Egypt was quite extensive, Jews were a wine-drinking culture well before the foundation of Rome. Vintage wines were found in the tomb of King Scorpion in Hierakonpolis, archaeological evidence suggests that Semitic predecessors were thought to be responsible for the vintages that were found in the tomb. Vineyards were protected from robbers and animals by walls and manned watchtowers. The harvest time brought much joy and play, as en, women and children took to the vineyard, often accompanied by the sound of music and song, some grapes were eaten immediately, while others were turned into raisins. Communion under both kinds in Christianity is the reception under both species of the Eucharist. This is mentioned implicitly by the Council of Trent, and the General Instruction of the Roman Missal states that the people. 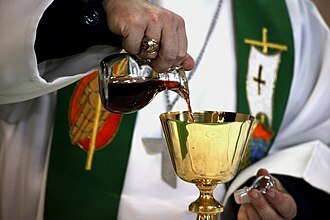 should share the cup when it is permitted, Communion is a clearer sign of sharing in the sacrifice that is actually being celebrated. In modern Catholic practice in Europe and much of the English-speaking world, Ireland excluded, Catholicism teaches that Christ is sacramentally present under each species, and therefore if a person receives only one species, Christ is fully present and nothing is lacking. In the Early Church, Communion was ordinarily administered and received under both kinds and that such was the practice mentioned by Paul in I Corinthians 11,28. By the Middle Ages, the Church had become, like most of European society, there was much stress on being holy when receiving Communion, and a greatly heightened appreciation of the sufferings of Christ. This meant that all who approached the altar were to be as pure as possible and this practice was challenged by the Bohemian reformer, Jacob of Mies, who in 1414 began to offer Communion under both kinds to his congregation. The matter was reviewed by the 13th Session of the Council of Constance, in 1415 and this became the most emblematic issue of the Hussite Wars, which resulted in the permission of the communion under both kinds for Utraquists in Bohemia in 1433. In the following century, this was challenged again by the Protestant Reformers, including Martin Luther, John Calvin, his concession was withdrawn in the following year. In the 20th century, Catholic liturgical reformers began to press for a return to Communion under both kinds, citing the practice of the church before the thirteenth century, there were spirited debates over the issue at the Second Vatican Council, resulting in a compromise. The following text was issued by the bishops. 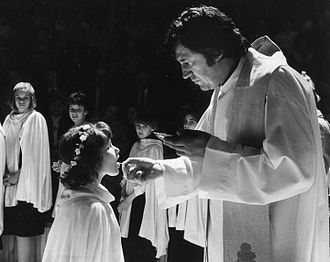 Regular use of Communion under both kinds requires the permission of the bishop, but bishops in many countries have given blanket authorisation to administer Holy Communion in this way. In the United States, the Notre Dame Study of Catholic Parish Life showed that by 1989, the Eastern Orthodox Church has consistently practised communion under both kinds. Closed communion is the practice of restricting the serving of the elements of Holy Communion to those who are members in good standing of a particular church, sect, or congregation. A closed-communion church is one that excludes non-members from receiving communion and this is the practice of all churches dating from before the Protestant Reformation and of some Protestant church such as some Lutherans and Baptists. The Catholic Church practices closed communion, western Christians who do not share the Catholic theology of the Eucharist are absolutely excluded. 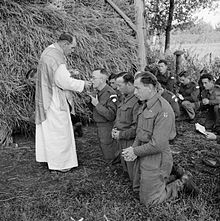 The Catholic Church does not practise open communion, holding that reception of Holy Communion is reserved for those who are baptized, in general it permits access to its Eucharistic communion only to those who share its oneness in faith and ecclesial life. For other baptized Christians the conditions are more severe, the Catholic Church thus clearly distinguishes between Churches whose celebration of the Eucharist it recognizes as valid and other Christian communities. It applies this rule to the Anglican Communion, pursuant to Apostolicae curae, failing to do so is condemned by these Lutherans as the sin of unionism. This teaching comes from 1 Corinthians 10, 16-17 which says, and is not the bread that we break a participation in the body of Christ. A man ought to examine himself before he eats of the bread, for anyone who eats and drinks without recognizing the body of the Lord eats and drinks judgment on himself. Therefore, the belief is that, inviting those forward who have not been first instructed would be unloving on the churchs part and this is described as akin to letting someone drink poison without stopping him. The Evangelical Lutheran Church in America, the largest Lutheran Church in America, does not practice closed communion, but rather eucharistic hospitality. 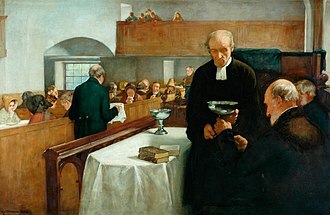 In terms of receiving the Sacrament, according to this practice, the burden of decision of admittance to the Sacrament is not on the host congregation. The invitation to the Sacrament is extended to all baptized persons, the Eastern Orthodox Church, comprising 14 or 15 autocephalous Orthodox hierarchical churches, is even more strictly a closed-communion Church. The Catholic Church teaches that the substance, or essence, of the Eucharistic offering is changed into both the body and blood of Christ. All that is accessible to the senses remains unchanged, what remains unaltered is referred to as the accidents of the bread and wine, but the term accidents is not used in the official definition of the doctrine by the Council of Trent. The manner in which the change occurs, the Catholic Church teaches, is a mystery, The signs of bread and wine become, in a way surpassing understanding, the Body and Blood of Christ. The precise terminology to be used to refer to the nature Eucharist, in the Greek Orthodox Church, the doctrine has been discussed under the term of metousiosis, coined as a direct loan-translation of transsubstantiatio in the 17th century. In Eastern Orthodoxy in general, the Mystery of the Eucharist is more commonly discussed using alternative terms such as trans-elementation, re-ordination, or simply change. The early Christians who use these terms speak of it as the flesh and blood of Christ, the same flesh and blood which suffered and died on the cross. Matthew 7,6 A letter by Saint Ignatius of Antioch to the Romans, written in AD106 says, I desire the bread of God, which is the flesh of Jesus Christ. 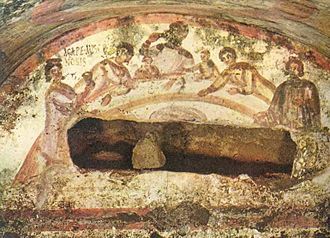 In about 200 AD, Tertullian wrote, Taking bread and distributing it to his disciples he made it his own body by saying, This is my body, on the other hand, there would not have been a figure unless there was a true body. The Apostolic Constitutions says, Let the bishop give the oblation, The body of Christ, and let him that receiveth say, Amen. 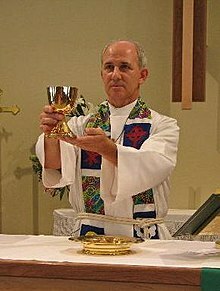 And let the deacon take the cup, and when he gives it, The blood of Christ, the cup of life, and let him that drinketh say, Amen. Saint Ambrose of Milan wrote, Perhaps you will say, I see something else, how is it that you assert that I receive the Body of Christ. Let us prove that this is not what nature made, but what the blessing consecrated, for that sacrament which you receive is made what it is by the word of Christ. But if the word of Elijah had such power as to bring fire from heaven. Why do you seek the order of nature in the Body of Christ, seeing that the Lord Jesus Himself was born of a Virgin and it is the true Flesh of Christ which was crucified and buried, this is truly the Sacrament of His Body. This practice was and is highly recommended by saints and Doctors of the Church. According to Catholic doctrine, bread is transubstantiated into the Body and Blood, the same holds true for the wine, which in Catholic doctrine is the Body, Blood and Divinity of Jesus Christ. Inaestimabile Donum emphasizes the importance of adoration and prayer after Holy Communion, the faithful are to be recommended not to omit to make a proper thanksgiving after Communion. They may do this during the celebration with a period of silence, with a hymn, psalm or other song of praise, or after the celebration, reverence is that virtue which inclines a person to show honor and respect to God. 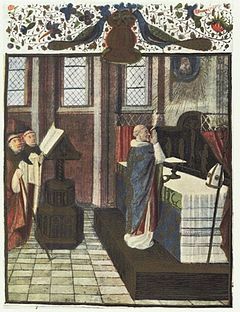 The missal and the breviary even suggest prayers for the priest before, there is no reason to believe that this is no longer needed. Indeed in our world of today, such moments of reflective. He recommended that during this time it can be most helpful to remain recollected in silence, I heartily recommend to the Churchs pastors and to the People of God the practice of eucharistic adoration, both individually and in community. 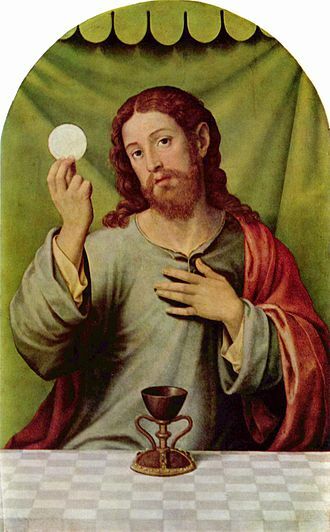 Now, in Holy Communion, it is the Lord Himself that comes to us, I pray that this Holy Communion be not a condemnation to punishment for me, but a saving plea to forgiveness. May it be to me the armor of faith and the shield of a good will, through the same Christ our Lord. After receiving Communion, many of the saints would spend a time of thanksgiving. 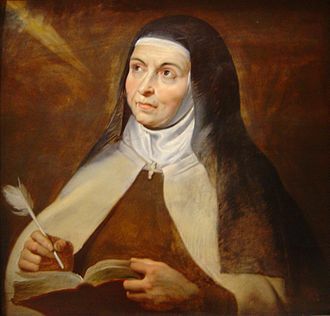 Magdalena de Pazzi wrote, The minutes that follow Communion are the most precious we have in our lives, St. St. Louis de Montfort wrote, I would not give up this hour of Thanksgiving even for an hour of Paradise. Philip Neri once sent two acolytes with candles to accompany a member of his congregation who had left the church without any adoration after Mass, the man returned to the church to find out St. Philips purpose. The Saint answered, We have to pay respect to Our Lord. Since you neglect to adore Him, I sent two acolytes to take your place, through the years, the saints have varied in their recommendation as regards the amount of time to be spent in thanksgiving. By contrast, the doctrine is rejected by the Radical Reformers and their followers. Efforts at mutual understanding of the range of beliefs led in the 1980s to consultations on Baptism and these consultations included the Catholic Church. 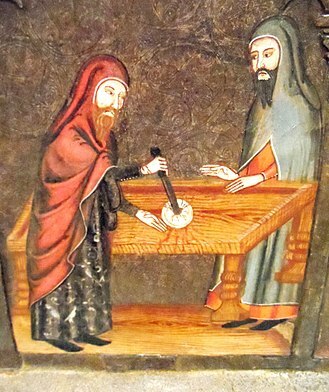 Contrary positions were taken by Paschasius Radbertus and Ratramnus, Ratramnus held that the body of Christ was present spiritually but not physically, while Paschasius emphasized the true presence of the body of Christ. 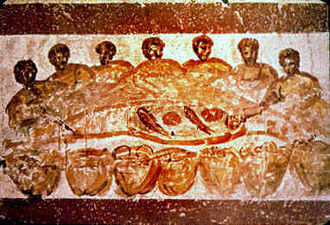 This caused a controversy which led to the clarification of the doctrine of the Eucharist. In 1215, the Fourth Lateran Council used the word transubstantiated in its profession of faith, scholasticism cast Christian theology in the terms of Aristotelianism. Medieval philosophers who used Aristotelian concepts frequently distinguished between substantial forms and accidental forms, for Aristotle, a substance is an individual thing, which may possess accidental forms as non-essential properties. 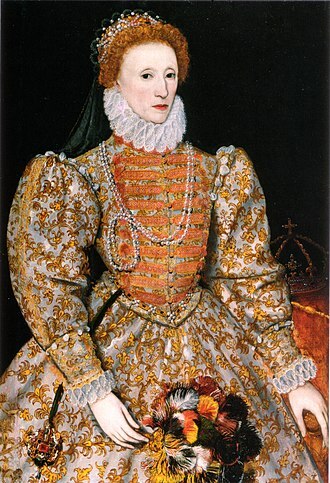 During the period, the question was debated within the Western Church. Following the Protestant Reformation, it became a topic of division between the various emerging confessions. The Lutheran doctrine of the presence, known as the Sacramental Union, was formulated in the Augsburg Confession of 1530. 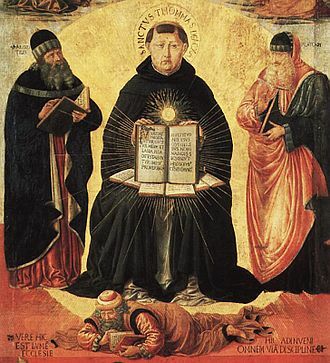 Luther decidedly supported the doctrine, publishing The Sacrament of the Body, zwinglis view became associated with the term Memorialism, suggesting an understanding of the Eucharist held purely in memory of Christ. 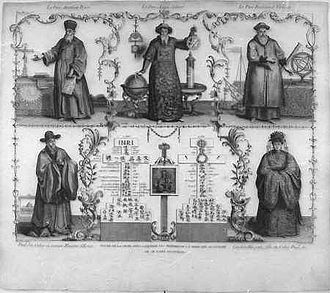 Eastern Orthodoxy did not become involved in the prior to the 17th century. It became virulent in 1629, when Cyril Lucaris denied the doctrine of transubstantiation, to counter the teaching of Lucaris, Metropolitan Petro Mohyla of Kiev drew up in Latin an Orthodox Confession in defense of transubstantiation. This Confession was approved by all the Greek-speaking Patriarchs in 1643, and again by the 1672 Synod of Jerusalem. One hymn of the Church, Ave Verum Corpus, greets Christ in the Eucharist as follows, true body, born of Mary Virgin, nor does its use in the Orthodox Church commit theologians to the acceptance of Aristotelian philosophical concepts. 10.16,11. 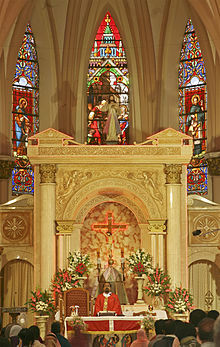 An altar prepared according to the rubrics for the Tridentine Mass. 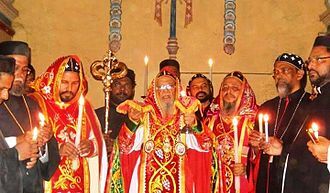 Many Western Rite Orthodox congregations celebrate a revised version of the Tridentine Mass under the name Divine Liturgy of Saint Gregory. Territorial extent of Byzantine (southern) Italy during the early 11th century. Modern city names (in English) are provided alongside the medieval Greek names.